The massive 1,229 runner field at the WPT Borgata Winter Open has been whittled down to just six with David Paredes heading the charge for the $842k first prize. The American pro returns with a stack of 9,650,000, just ahead of Anthony Maio on 9,500,000. 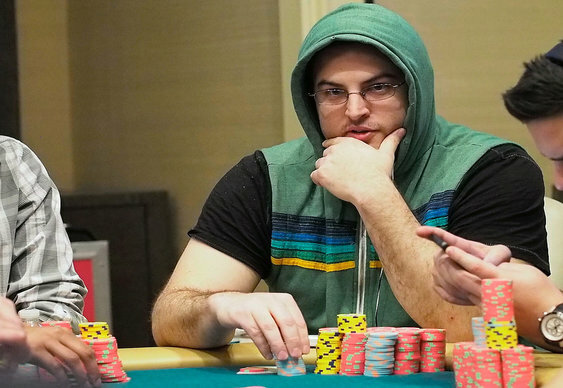 The most recognisable player at the final table is Jared Jaffee who lies in third with 6,620,000. Jaffee is already a member of the World Poker Tour Champions Club having taking the honours at WPT Jacksonville in November of last year. Rounding out the final six are Farid Jattin, Robert Murella and Vladislav Mezheritsky. A place at the televised final table seemed there for the taking for Kunal Patel when he looked down at pocket aces late in the day. He got all his chips in the middle on a 8c7d3h2d board but ran into a set of deuces from Anthony Maio. The blank 4d on the river sent Patel to the rail and seventh with $135,172 and confirmed the final table line up.